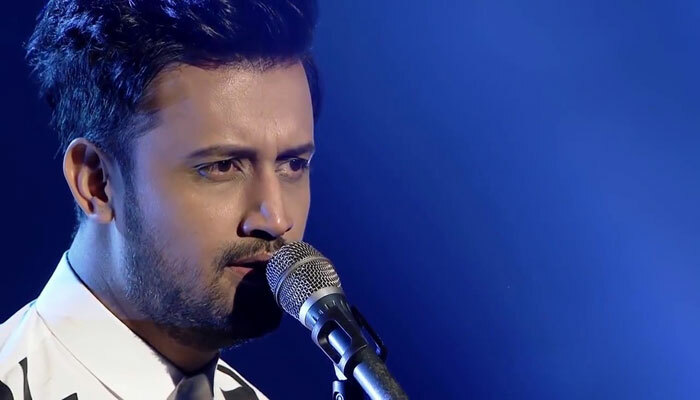 Pakistan’s acclaimed signer Atif Aslam landed in hot waters after he decided to sing an Indian song at an Independence Day Parade held in New York City. During the celebrations of the Independence Day held at the Big Apple earlier this week, the Pakistani heartthrob ended up letting some of his fans down by choosing to sing one of his hit Indian tracks titled ‘Tera Hone Laga Hoon’ from the 2009 released film ‘Ajab Prem Ki Ghazab Kahani’. The ‘Doorie’ singer’s section left the social media ablaze who propositioned a boycott against the singer for his actions. On the other hand, there were numerous social media users who jumped in to defend their pinup and clearing the air of misconceived facts.